If you’re a facility manager who likes to stay under the radar when it comes to tenant safety and maintenance costs, preventing and treating mold growth should be a high priority. Why? 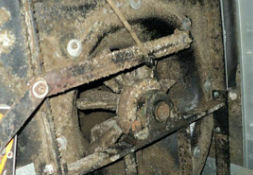 Even though mold is always present in any building, it needs food and water to grow and thrives in warm, humid weather. Since mold can feed on just about anything, your facility’s carpet and drywall are on the menu. Mold’s biggest threat is when spores release into the air. One of the fastest ways to spread mold is through an ill-maintained HVAC system. 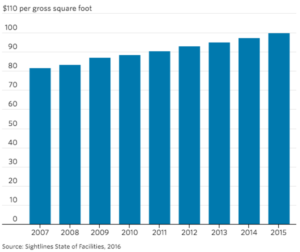 Mold has become such a big concern that most public facilities have written procedures in place that trigger immediate shutdowns until the mold is removed. In March, a mold-infested elementary school closed for the remainder of the school year. 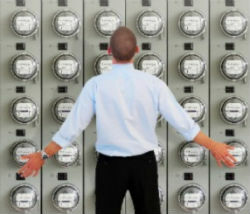 These drastic measures are needed, of course, but have an enormous negative impact on productivity and maintenance budgets. If ignored, the impact can be even greater. In Austin, Texas parents are suing the school district due to respiratory illness connected to mold growth in classrooms. While these two examples may be extreme cases, both represent the dangers and costs of delaying mold prevention and treatment. 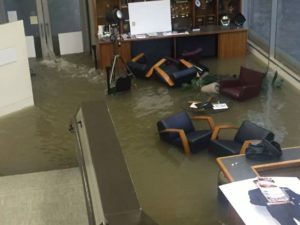 With flooding from hurricanes in late 2017, office building mold removal and treatment is a hot topic for facility managers. Depending on the case’s severity and the outcome, a facility may be liable for millions of dollars in damages. For example, recently North Carolina courthouse employees file lawsuit against their employer, Spartanburg County. 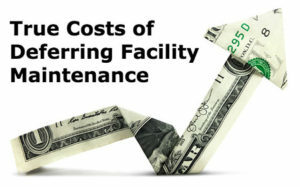 Comparatively speaking, the cost to hire a mold treatment specialist to inspect your facility is a fraction of the cost. For mold treatment in a facility such as a school, the cost can be more than $10,000-$50,000. While those numbers may seem high, compared to court fees, it’s a no-brainer. Mold is a common problem for most buildings. It can grow almost anywhere, however, it flourishes in warm, wet areas. Places like Austin, Texas, need mold prevention built into most building maintenance plans due to the hot, humid climate. In fact, places with high humidity may have a scheduled dehumidification cycle to keep humidity at 60% or lower to reduce mold growth. This cycle can be added to HVAC system controls as part of a programming package. Also, repairing any leaks in roofs, windows, or piping can help prevent accumulating moisture. Areas with high moisture, such as kitchens and showers should also have proper ventilation. Some mold can find a place to grow even with prevention measures in place. Mold removal is necessary to keep it at acceptable levels. General cleaning methods, including soap and water, can remove visible areas of mold growth, but will not control the recurrence of mold growth. However, mold often grows in hard to reach areas such as coils and ductwork of a facility’s HVAC system. When this happens, mechanical cleaning and chemical treatment methods should be used. 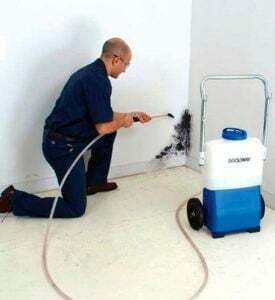 For example, consider Coil cleaning products like Coilshine-BC, a commercial-grade, EPA registered and ready-to use treatment that controls and inhibits future growth of odor-causing bacteria, like (black) mold and mildew, in HVAC systems. 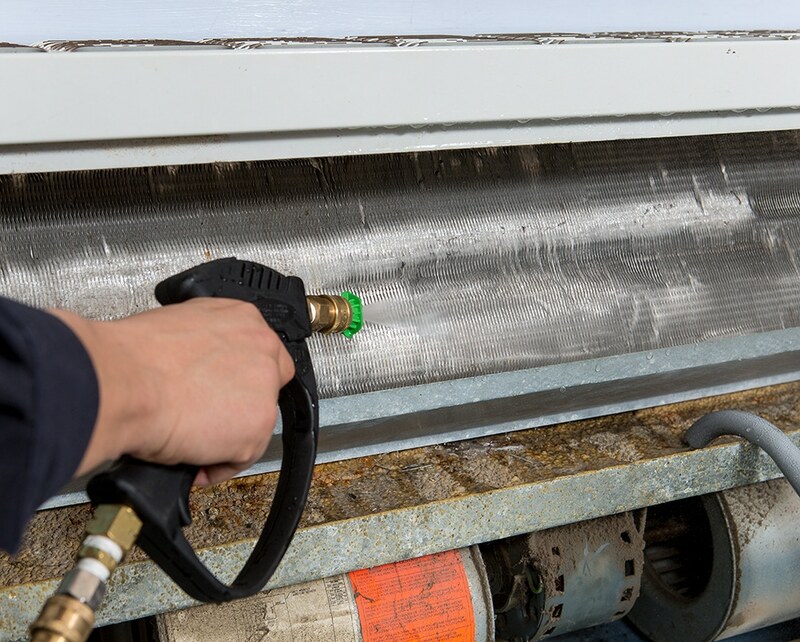 When part of a regular maintenance plan, facilities can save money on maintenance and the surprise costs associated with unmitigated mold growth.